If there’s two things we love most about summer it’s ice cream and cocktails. These delicious creations cool us down and satisfy our sweet tooth, and that’s why we’ve found a way to bring them together. That’s right, we’ve whipped up some ice cream cocktails! 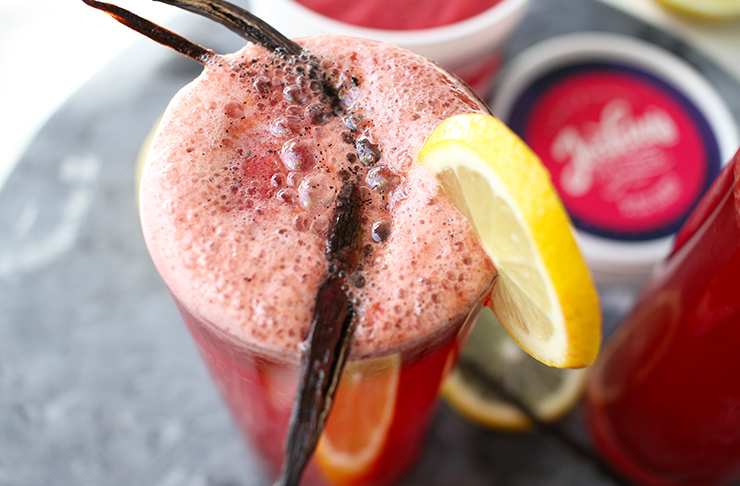 Using all natural, handcrafted Joshua’s Ice Cream, we’ve created three delish ice cream cocktails for summer. Read on for the recipes...you know you want to. Chill gin and highball glasses. Place a scoop of black doris plum sorbet into the glass with 30mls of gin, a squeeze of lemon juice and top with soda water. Garish with vanilla pods and lemon. Chill martini glasses and vodka. Place a scoop of raspberry and white chocolate truffle ice cream into the glass and top with 15mls of vodka, 15mls of white creme de cacao and a dash of cream. 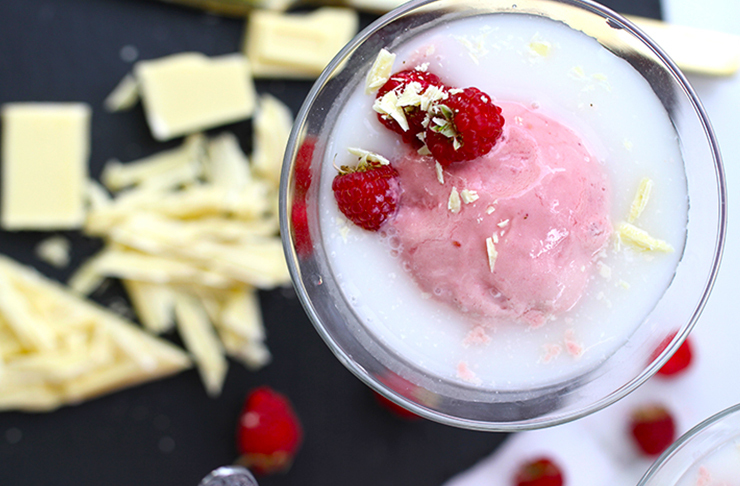 Garnish with white chocolate shavings and fresh raspberries. Chill Vodka and champagne flutes. 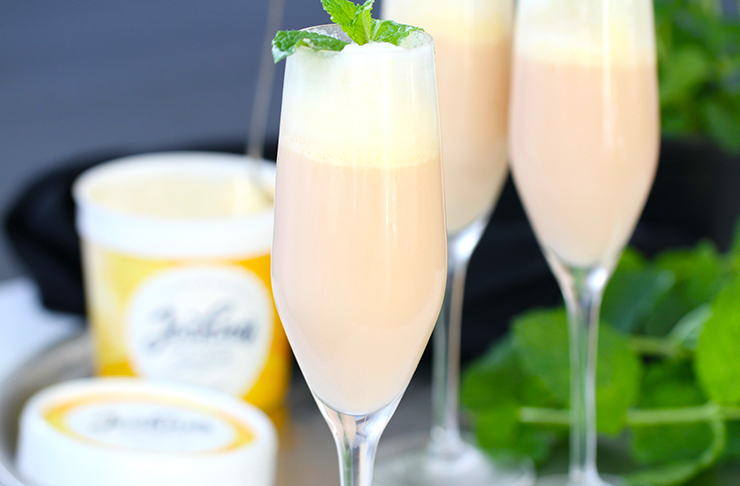 Place one scoop of lemon curd sorbet into flutes and 15mls of vodka and top with chilled prosecco. Garnish with mint. You can pick up Joshua’s Ice Cream from Farro Fresh, selected Countdowns and other stockists.